A day earlier, the fishermen had gotten Chau close enough to set him loose in his kayak. Once ashore, the young American began communicating with a few villagers. But after he sang a few worship songs, then prattled away at them in Xhosa, a South African tongue he had picked up a few years ago, they lost patience. Taking out their bows, they began firing arrows at him. When an arrow pierced his bible, Chau fled, swimming back to the fishermen’s boat. But he was undeterred. “I hollered, ‘My name is John, I love you and Jesus loves you,’” he wrote in his journal. “Why does this beautiful place have to have so much death here? I hope this isn’t one of my last notes but if it is ‘to God be the Glory.’” After swimming back to the island the next morning, he was set upon the moment he landed ashore, killed in a hail of arrows. Later, the fishermen saw some villagers tying a rope around his neck and dragging his body across the sand. Seven fishermen have since been arrested for enabling Chau’s doomed mission. His family have forgiven their son’s killers and are pleading for no criminal charges to be laid against the fishermen. But they still want his body back. And anthropologists are sounding the alarm about the dangers of retrieving it, the possibility of “copycat” visits to the island, and thus the real threat to survival for a nearly extinct people who are said to have lived in the area for 30,000 years. For me, the most unsettling aspect of this saga—of Chau’s attempt to circumvent the law, flout common sense and decorum, and ignore all advice for his own safety in order to preach the Christian gospel to a primitive tribe—is the reminder that such people still exist in this world. I don’t mean the Sentinelese: I mean John Allen Chau. I am loath to speak ill of the dead, and Chau—a biracial American from Washington State who clearly loved meeting people from all backgrounds—must have had his attributes. According to his family, he was “a wilderness EMT, an international soccer coach, and a mountaineer.” But he also, evidently, had sawdust for brains. A graduate of Oral Roberts University (which should tell you something about his world view), Chau’s sense of adventure was fuelled by reading “Robinson Crusoe.” But not, one assumes, by reading Conrad. Or Chatwin. Or Said. Or Sontag. One wonders if he ever saw films like “The Mission,” or “The Mosquito Coast”—or even “The Beach”—and what his critiques would have been if he had. (Who knows? Perhaps, as he continued walking through the fusillade, he had Jeremy Irons’s stoic Father Gabriel in mind.) 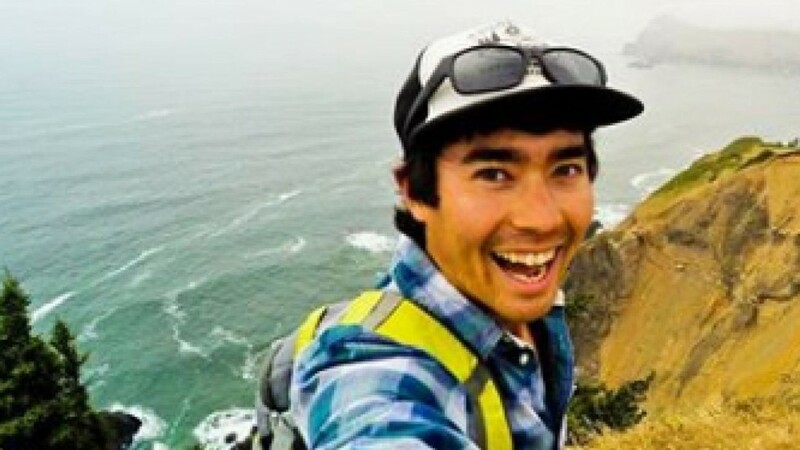 For John Allen Chau was clearly one of those believers who intellectually barricade themselves from any source of information that might threaten the sunny optimism of their certainty, any evidence that might destroy the myth of Christianity’s universal goodness. Such information would include history (particularly knowledge of the British Empire’s dominion over the Andaman and Nicobar islands, which wiped out much of the indigenous populations there), biology (a contemporary ailment as mild as the common cold could wipe out tribes like the Sentinelese), and contemporary political discourse (post-colonial critiques have, for at least half a century, been raising First World awareness about the injustice of imposing our beliefs and economic systems on isolated populations and cultures that just want to be left alone). Despite taking advantage of modern technology to travel the world and post his adventures on Instagram, however, Chau seems to have remained blissfully unaware of anything that has actually happened in the world beyond the gates of Oral Roberts University. To those not in thrall to religion of any sort, it is hard to see anything admirable in Chau’s fatal misadventure in the Bay of Bengal. In fact, it’s hard to see this episode as anything but another “own goal” by a hapless evangelical playing for Team Christ. John Allen Chau is not a martyr; he is a sad Orientalist anachronism, a relic of the long-discredited neo-colonial sins of cultural imperialism and religious triumphalism. Had he focussed his mind on more earthly realities, putting his skills and talents to use where they could be more appreciated, this young man might have lived long enough to achieve wisdom. Pity that his own beliefs robbed him of the chance. Well said Dan. And Forrest G. Wood summed it up brilliantly in the four-word title of his 1990 book “The Arrogance of Faith”. Next post: What if we’re ALL alcoholics?